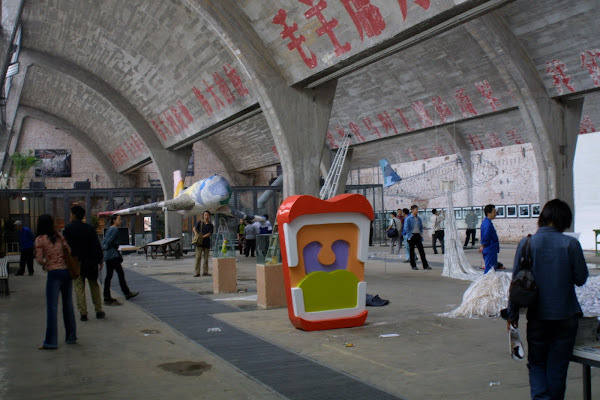 Posts on the art market with an emphasis on China. Also discussion of valuation issues including IRS rules for charitable donation and estate tax and authentication. Thompson and Martinez Fine Art Appraisal, Inc.
Halfway through 2010 we can say that the art markets are in recovery. Leading the way has been the Chinese art market which is being driven by the ever-growing demand and sophistication of private Mainland Chinese buyers. Not surprisingly, the taste of Chinese art buyers is shifting what is being offered at first-tier auction house like Sotheby’s, Christie’s and Bonhams. Important sales are now featuring 18th century decorative arts such as blue-and-white porcelain, white jade, and objects made of rhinocerous horn. Porcelains, jades, ivories and other items believed to have been produced in imperial workshops and with excellent provenance are especially favored, with those from the Qianlong period (1736-95) bringing the highest prices. Hong Kong and auctions in Mainland China are now the center of the Chinese art market and where the record prices are being set. This May China's Beijing Poly International Auction Co. set a record price for a Chinese work of art when a 15 meter long handscroll of calligraphy by Song master Huang Tingjian sold for RMB 436 million US$63.8 million. Chinese buyers are flocking to sales not only at auction houses in Hong Kong, New York, London and Paris but also to regional auction houses around the globe to chase artworks being sold from significant European collections. A recent example of this is a sale that took place at Woolley & Wallis in Great Britain where a pair of imperial jade elephants were sold for $1.23 million, 3-4 times estimate, and a white jade bell sold for $2.46 million. Eleven lots sold for over $100,000 and twenty-two lots for over $50,000.